One of the earliest of the Reserve Aircraft Control & Warning Units to be formed was 2455 AC&WU at Victoria, BC. The unit was formed on 15 January 1951 and reported to the North West Air Command through 12 Group Vancouver. The original location of Victoria’s AC&WU was to have been at RCAF Station Sea Island which was located just outside of Vancouver. This was changed within a short period of time and the unit was domiciled on Government Street, not far from the Provincial Legislature. 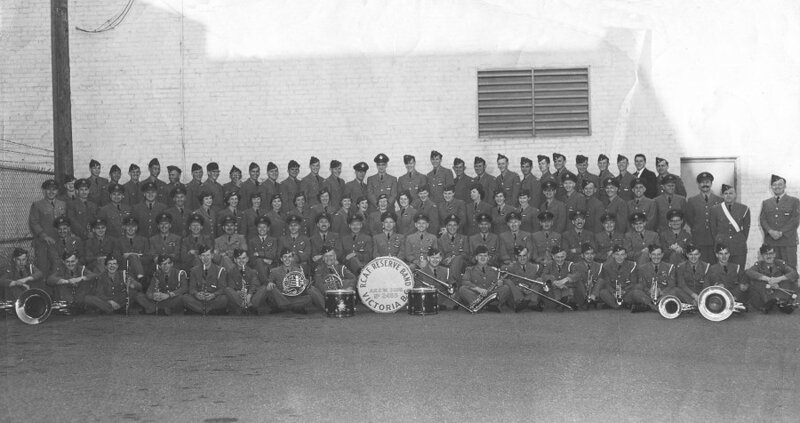 The first HQ for the Squadron was in the old RCAF Recruitment Centre at 1315 Government Street where the Squadron remained until 1 Sept 1951 when it moved to Balmoral Building on Douglas St. Permanent Sqn HQ was officially opened by His Honour the Lieutenant Governor on 21 May 1954. The new Urban Centre at 865 Yates Street formerly the Begg Motor Building was renovated to Squadron requirements. On 1 November 1951, 2455 AC&WU (Reserve) became 2455 AC&W Unit (Auxiliary). 2455 AC&WU exercised its personnel primarily at Comox, Tofino, Holberg, Cold Lake and Kamloops. It should be noted that during the time of 2455 AC&WU’s existence, Kamloops was, in fact, USAF manned. The employment of RCAF Auxiliary personnel to this site posed no problems what so ever and they were indeed, made quite welcome. Narrative reports on the Pinetree Line web site verify that 2455 AC&WU has been deployed to Kamloops Air Station, Kamloops BC as well as RCAF Station Holberg in 1954. 2455 Squadron also completed a number of training trips to the 757th AC&W Squadron in Blaine Washington in 1959 - making it one of the few Canadian Reserve squadrons to train within the United States of America. 2455 AC&W achieved Squadron status on 1 January 1955. With the coming of SAGE in the early Sixties, 2455 AC&W was disbanded on 31 March 1961. West Coast Squadron Has Impressive Though Shortlived Career - March 1961. Organization Order R2.0.18 - 3 October 1960. 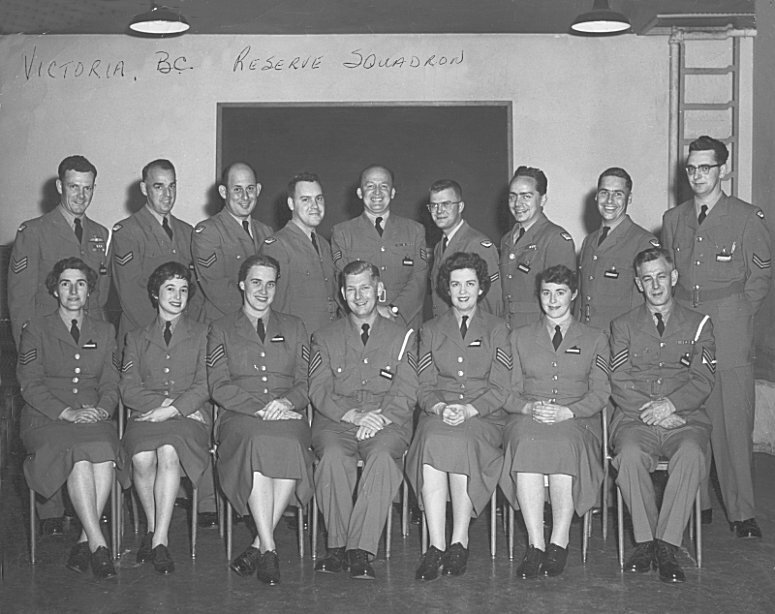 Members of 2455 AC&W Squadron in Victoria BC - 1960. Larger image of the previous photo - 1960. Members of the 2455 AC&W Squadron composite NCOs Mess - 1960. Back row (L-R) - Unknown, unknown, Collard, unknown, Gibson, Lorne Walkey (Regular Forces), Whitmore, Middleton, Stead (Regular Forces). Front row (L-R) - McDonald, DeBlois, Collard, unknown, Little, Mahon, unknown. 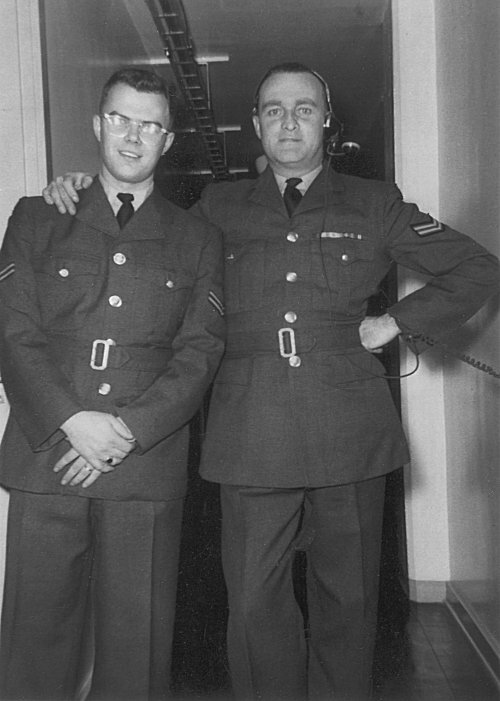 (L-R) Cpl Lorne Walkey (Radar Tech) and Cpl MacIldoon (FCO) - 1960. Both of these airmen were with the Regular Force support staff. 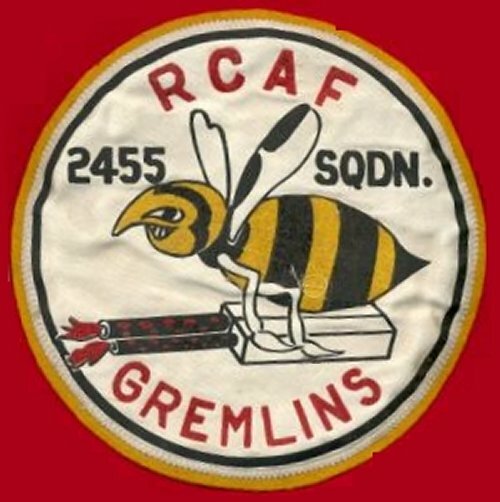 2455 Squadron crest - 1959. Courtesy of Les Spencer and Jean-Francois Chalifoux. Organization Order R3.0.2 - 1 June 1958. Historical Narrative - 1 December 1957 to 31 May 1958. Organization Order R3.0.19.4 - 28 December 1954. Organization Order 25/53 - 28 April 1953. Organization Order 72/50 - 11 December 1950.